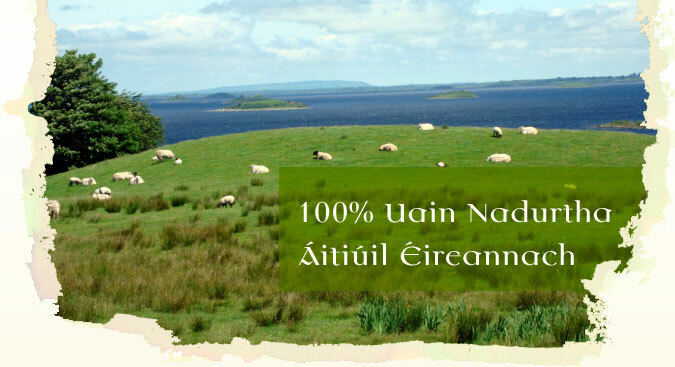 Tá clú is cáil domhanda ar cheantar Chonamara ó thaobh áilleacht misticiúil, cnoc is sliabh, glan is loch. Is minic an áit cludaithe le brádán báistí ón Atlantaigh Thuaidh a threiseann áilleacht dhraíochta na háite. Cuidíonn sé seo le fás na luibheanna, féar is froach ar a mbeathaitéar Uain Sléibhe Chonamara. Uain Sléibhe Chonamara buaiteoirí gradam 2013 Cumann Scriobhneoirí Bia na hÉireann (Irish Food Writers' Guild). Aitheantas don chabhair suntasach atá a thabhairt do Bhia na hÉireann.